The use of modern technologies in logistics was described in this publication. The logistics services of the e-commerce market necessitated an adaptation of the infrastructure to the requirements of customers as regards shipment and collection. The purpose of the study is a presentation of new technologies offered on the territories of Poland and Ukraine as well as their comparison. A literature analysis and a comparative analysis method of the services offered by the largest logistics operator and national mailing services for e-commerce were used in the article. A historical outline and the current development of the e-commerce market in both countries were presented. The sustainable development of the market has resulted in tendencies connected with information technology, ecology and changes in supply chains. The comparative analysis presents the similarity and differences in the logistics services offered by DHL to Polish and Ukrainian customers as well as in the logistics offer of national mailing companies. 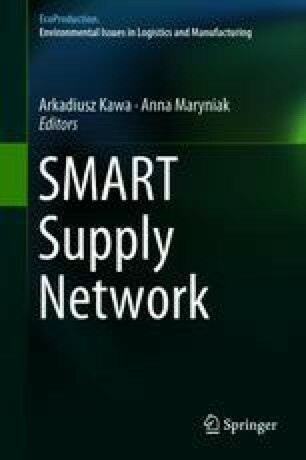 The direction of changes on the market of logistics services, such as automation of processes, reduction of costs and eco-logistics was indicated in the conclusions, changes to smart supply channel (SSC). The dynamics of the e-commerce market contributed to increased awareness on the part of all the participants of the supply chain and an implementation of changes to improve logistics services provided at each stage of the execution of the order, the results are smart supply network. Nevertheless, there occur differences within the same logistics operator that operates on the Polish and Ukrainian markets. Greater differences in the use of modern technologies can be observed with national mail operators. Grebenyk, K. (2017). The future of postal logistics in Ukraine and in the world: What market leaders are introducing today. Online https://mind.ua/publications/20177428-majbutne-poshtovoyi-logistiki-v-ukrayini-ta-sviti-shcho-lideri-rinku-vprovadzhuyut-uzhe-sogodni. Access: November 12, 2017. Logistics 4.0 and smart supply chain management in Industry 4.0. https://www.i-scoop.eu/industry-4-0/supply-chain-management-scm-logistics/. Access January 31, 2018. Macauley J., Buckalew, L., & Chung, G. (2015). Internet Things in Logistics. DHL Trend Research, Troisdorf, Germany, https://www.dpdhl.com/content/dam/dpdhl/presse/pdf/2015/DHLTrendReport_Internet_of_things.pdf. Access January 31, 2018. Report about e-commerce in Poland and East Europe. (2017). https://www.gemius.pl. Access December 27, 2017. Roos, D. (2015). The History of E-commerce. HowStuffWorks.com. http://money.howstuffworks.com/history-e-commerce1.htm. Access April 26, 2015. Sass-Staniszewska, P., & Binert, K. (2017). E-commerce w Polsce 2016. Gemius dla e-commerce Polska (E-commerce in Poland 2016. Gemius for Poland e-commerce). https://www.gemius.pl/wszystkie-artykuly-aktualnosci/nowy-raport-o-polskim-e-commerce-juz-dostepny.html. Access December 16, 2017. Sokolenko, P. (2018). Electronic commerce (e-commerce): trends and the forecast of development in Ukraine for 2017–2018. https://www.web-mashina.com/web-blog/ecommerce-prognoz-elektronnoi-kommercii-ukrainy-2017-2018. Access January 10, 2018. Ułan, G. (2017). Raport E-commerce w Polsce 2017—Prawie połowa polskich internautów nie kupuje online (Ecommerce Report in Poland 2017— Almost half of Polish Internet users do not buy online). http://antyweb.pl/e-commerce-w-polsce-2017/. Access September 21, 2017. Witthaut, M., Henning, D., Sprenger, P., Gadzhanov, & P., Dawid, M. (2017). Smart object and smart finance for supply chain management. Logistics Journal. https://www.logistics-journal.de/not-reviewed/2017/10/4610/witthaut_en_2017.pdf. Access January 31, 2018. Zombirt, J. J., Bartoszewicz-Wnuk, A., Tęsiorowska, M., & Sosef, D. (2017). Logistyka e-commerce w Polsce. Przetarte szlaki dla rozwoju sektora (Logistics e-commerce in Poland. Wasted routes for the development of the sektor) (p. 11). http://www.jll.pl/poland/pl-pl/Research/Logistyka_e_commerce_w_Polsce_przetarte_szlaki_dla_rozwoju_sektora_raport.pdf. Access December 16, 2017.